Who is Servants Without Borders? Servants Without Borders (SWB), a tax-exempt non-profit organization based in Washington, DC, was founded in 2009 to give back to our community through service. Members of the organization are originally from three countries: Africa, Jamaica and the United States and five cities: Flint, Houston, Washington, DC, Kingston and Lagos. We are determined to bring relief to communities that are suffering from the ravishes of natural disasters, poverty, and social injustice. We address the needs of underprivileged citizens in these communities by taking intensive grassroots action that directly impacts their daily living conditions. Through our efforts, we seek to improve the economic, educational, environmental, and health conditions of disadvantaged communities. As our programs and initiatives are implemented, we will transform impoverished communities into safe and healty environments in which residents can thrive and enjoy the quality of life that every citizen is entitled to possess. #ShowerFlint is one of our many initiatives. It is a social giving/action campaign that addresses the water crisis in Flint, Michigan. 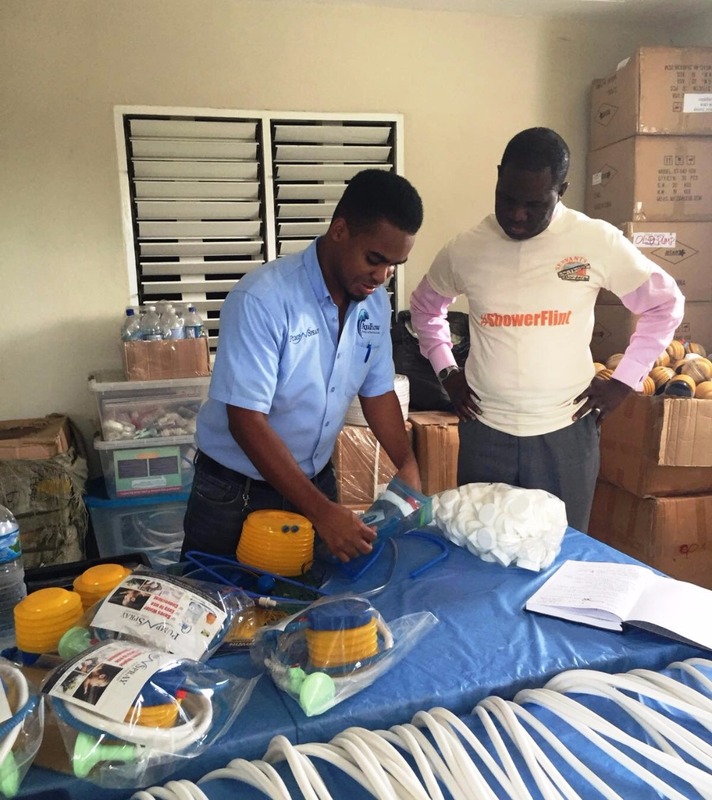 We are excited to partner with Jovan Evans, an entrepreneur from the Branson Centre for Entrepreneurship - Caribbean's, to distribute the Pump-n-Spray, a product that transforms a 4 or 5-gallon bottle of water into a portable shower with the same pressure as a standard shower. 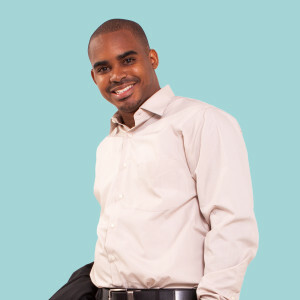 We are excited about our first strategic partner, Jovan Evans. We are currently seeking other partners in order to provide additional portable shower options. 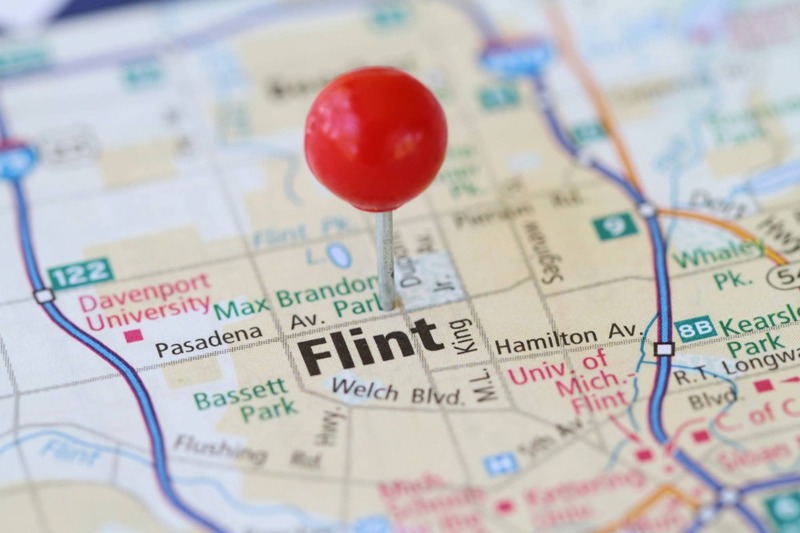 · Flint’s water supply has been contaminated with HIGH amounts of lead for over a year. · Residents have experienced rashes and other side effects from using the water, and it is estimated that thousands of children may be victims of lead poisoning. · Everyday activities like brushing teeth and showering have become IMPOSSIBLE. · Many, who have the economic means, have been forced to travel outside the city to take showers at gyms or in the homes of relatives. TAKE A LOOK AT THESE NEWS REPORTS TO GET FIRST-HAND ACCOUNTS OF THE CONDITIONS IN FLINT. How has the crisis impacted the residents? 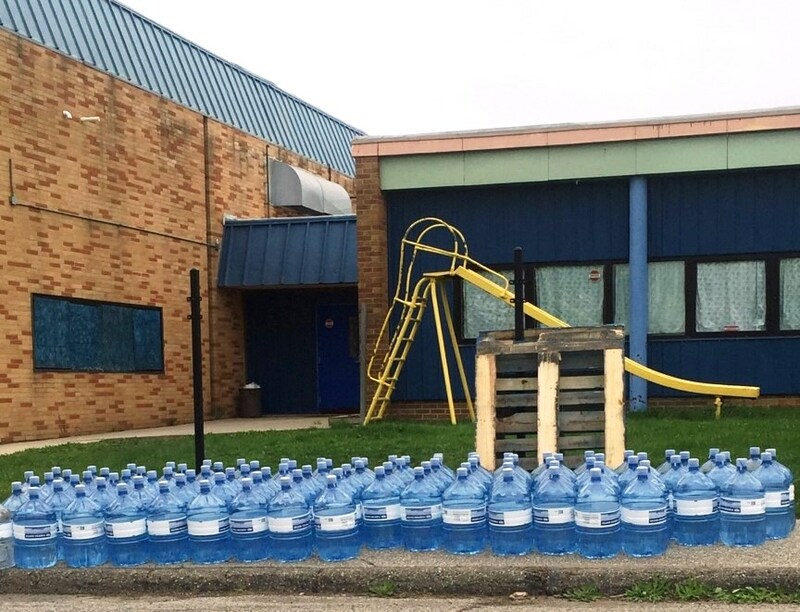 The crisis in Flint runs much deeper than most people realize. Lack of access to safe, clean water has a visceral impact on quality of life. These conditions are damaging to the public psyche because they foster a sense of fear, instability, and degradation. Many have likened conditions to those found in third world countries. Churches and businesses have attempted to help mitigate the crisis, but their resources are not nearly enough. In fact, many businesses, such as restaurants and salons, are also suffering because they depend on water to function. Why is 1.2 million dollars our goal? Because EVERYONE deserves to shower with diginity. With your support, we believe that the 41,000 homes that have been impacted will return to a sense of normalcy. As a citizen of the United States, imagine what it would be like to wake up and not be able to shower. Imagine the elderly and children that are suffering from rashes, because they have not been able to bathe with lead free water. By making a tax-deductible donation, you will help Servants Without Borders provide to the costs the necessary to aid for their relief. Every $42.00* you donate will give one person access to a clean shower. After you donate, please show your support by sharing the news about #ShowerFlint on Facebook and Twitter. This campaign isn’t just about water; it’s about showering the residents of Flint with a sense of care, human dignity, and a fair opportunity to thrive. SWB has ideas for sustainable solutions through economic development, training, education and employment. 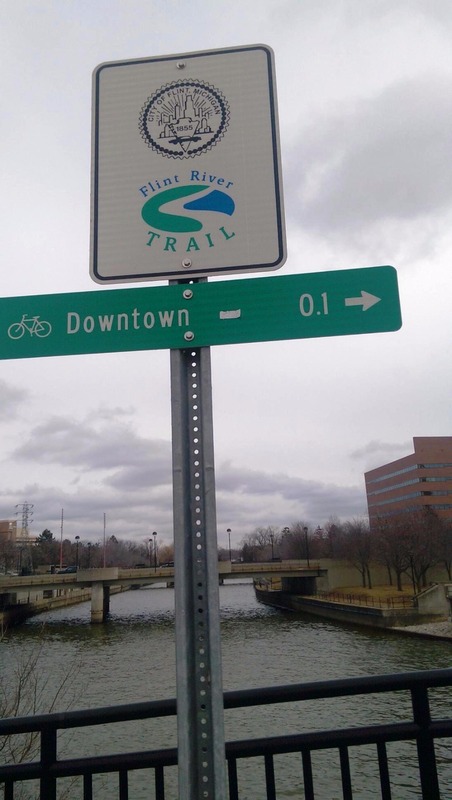 For example, could the Flint River, a symbol of pain, bring the city to a new pinnacle of economic resurgence? SWB is exploring the development of the Flint River community as the economic and entertainment center for the city, similar to National Harbor in Prince George’s County. 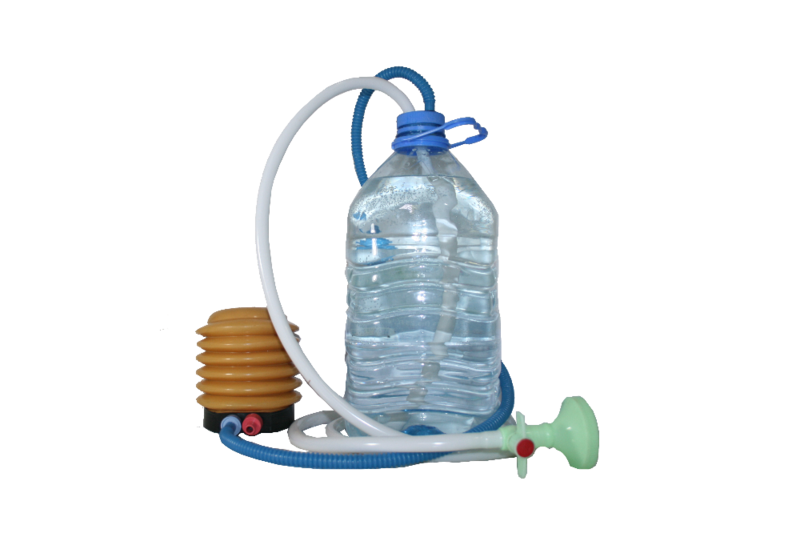 *$42 is the retail cost for the portable shower, plus shipping, from Jamaica to Flint. The first 300 portable showers were given by the inventor at a discounted rate, plus shipping costs, for a total of $35 per shower, to help kick-start our #ShowerFlint campaign. 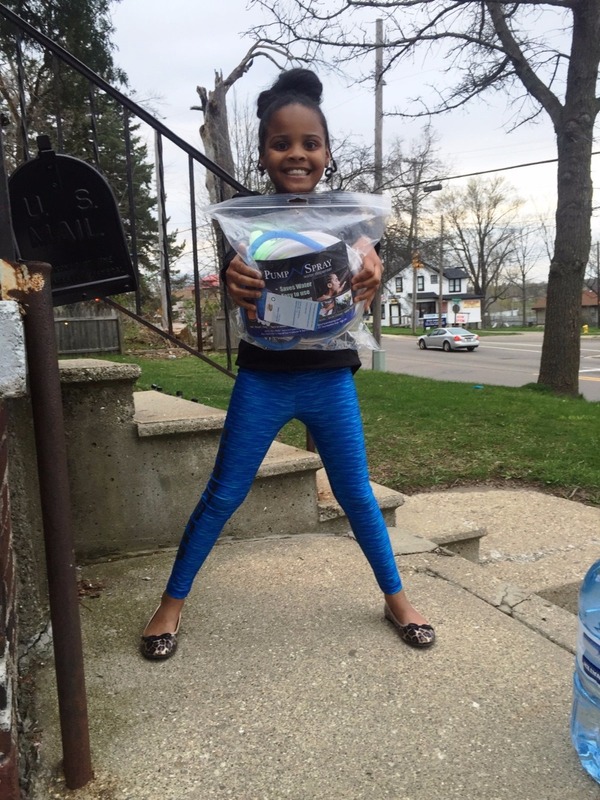 With the help of our donors, we have donated over 300 portable showers to Flint residents, including one to Little Miss Flint who will meet with President Barack Obama. We will continue raising funds with your support to provide every household in Flint with a shower that desires one. Please continue donating and sharing our page. Thank you! 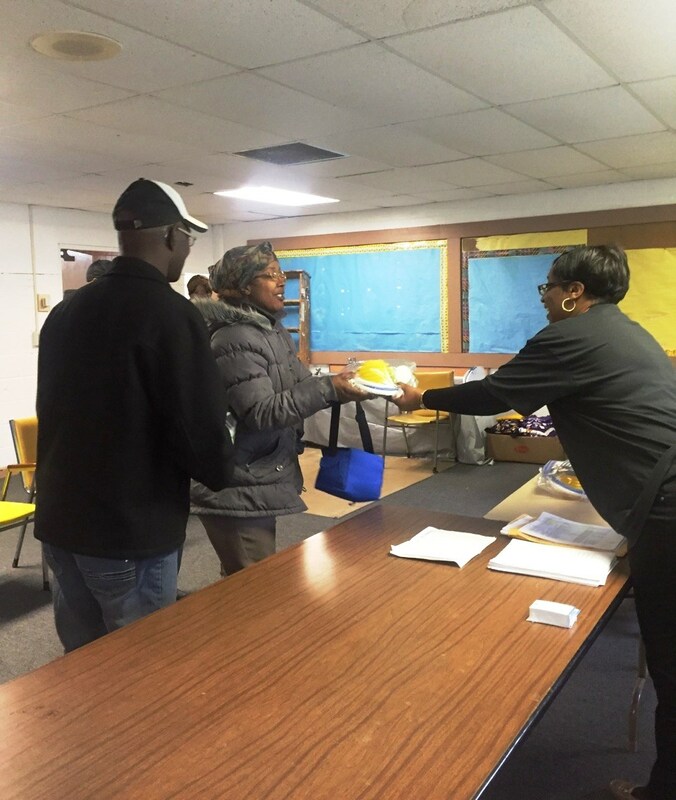 Servants Without Borders and Jovan Evans, inventor of the Pump-N-Spray, portable shower solution, are keeping the eyes on Flint! Servants Without Borders will be in Flint, Michigan on Thursday, April 28, 2016 for our second distribution of portable showers. 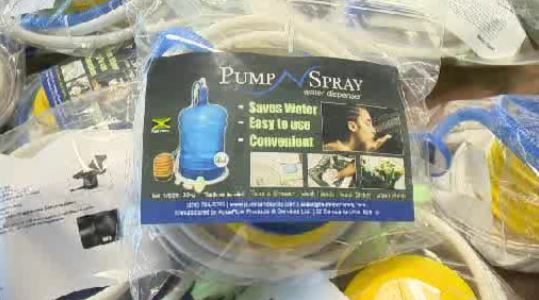 We appreciate the donations to date and need more to fill the current request for more than 450 Pump-N-Spray devices. We would love to provide every family in Flint with a safe bathing solution. Please continue to donate and share our story. Such awesome work! I know even more portable showers are needed as Flint is a big place, but it's so nice to see people are still helping. Shower Flint is an extremely worthy cause!